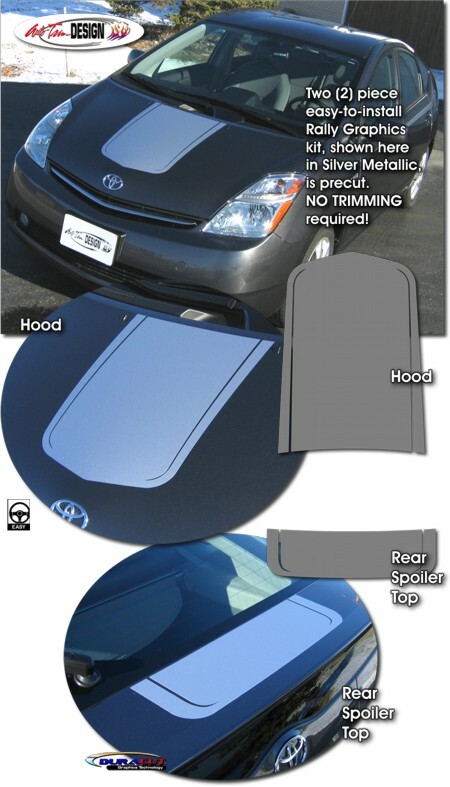 Set your '04-'09 Toyota Prius apart from the rest with this "fun" and cost-effective Hood & Rear Spoiler Top Rally Stripe Graphic kit. This stripe package is not just a set of straight strips in a box. Our graphic kit consists of prefitted and contoured pieces as shown in the illustration. Graphic kit is specifically made for the '04-'09 Toyota Prius Base or Touring model and will not fit any other vehicle.